Home » Beauty Care » How Long Does It Take For Dandruff Shampoo To Work? 2. How long does it take for dandruff shampoo to work? 4. Main points of how long does it take for dandruff shampoo to work? Anyone of us must have recognized that sometimes some white flakes are falling off from other’s or our scalp. What we saw is dandruff – a skin condition that is not life-threatening but able to make people feel embarrassed and lose confidence. There are many ways to treat dandruff, but dandruff shampoo has always been the most common choice. So why dandruff shampoo is so favorable? And if you pick it to treat your condition, how long does it take for dandruff shampoo to work? Let’s find out right below! Like any other part of your skin, scalp’s cells are continuously formed, died and shed from the top layer. For a normal person, dead skin cells are so small that they are invisible with a naked eye. However, with those who experience dandruff, the rate of shedding skin is quicker. Moreover, oil secreted from sebaceous glands in your scalp make those dead cells clamps together and appears as flakes. Malassezia: Malassezia is a fungus that is present on most adults’scalp. Normally, it is ‘friendly’ and causes no symptoms. But for some reasons (which is still a mystery), it can irritate your skin and promote skin cells’division which means there will be more dead skin cells. Excessive dead skins will fall off and appear as dandruff. Seborrheic dermatitis: this is also a common reason for dandruff. Beside having oily and irritated skin, a person who experiences from seborrheic dermatitis is more prone to have dandruff. Poor hygiene: when you don’t wash your hair often, oil and dead skins will accumulate, clamp together and shed off like dandruff. Diet: Vitamin B6, zinc or omega-3 deficiency can trigger dandruff condition. Other factors: stress, old age or being male can increase the risk of having dandruff. The reason for this link is still unknown. There are more factors that can be the cause of dandruff. For different reasons, you will have different ways to treat your dandruff condition completely. To find out, click WHY DO I HAVE SO MUCH DANDRUFF for more information! HOW TO GET RID OF DANDRUFF? With the help of shampoo’s advertisement and the development of shampoo’s industry, it is easy to understand why people are most likely to use dandruff shampoo for their condition and some may even think that is the only way. However, dandruff shampoo is not the only choice. “HOW TO GET RID OF DANDRUFF WITHOUT WASHING YOUR HAIR?”, You may ask. In fact, aside from using shampoo, you can lend some help from medical treatment. Some substances can lessen the itchiness and kill off fungi and bacteria on your scalp which are the cause of dandruff. On the other hand, for those who have sensitive skin towards chemical products, using ESSENTIAL OILS FOR DANDRUFF can be a good solution for you. HOW LONG DOES IT TAKE TO GET RID OF DANDRUFF? By using anti-dandruff shampoo, it usually doesn’t take long for dandruff shampoo to show its trick. After just a few time (or in many cases, it takes only one time) there are no more white flakes falling on your shoulder. So HOW DOES ANTI DANDRUFF SHAMPOO WORK? First of all, it cleans off existing dandruff and toxins in your scalp (from hair gel, hair spray or the environment for examples) that can trigger dandruff formation. It also washes away oil- the food for bacteria and fungi’s growth to create a hostile environment for Malassezia and other bacterias. Secondly, active ingredients of dandruff shampoo can balance your scalp’s pH or works as an antibacterial/antifungal to prevent dandruff from reoccurring. However, this effect doesn’t last long, so that’s why dandruff shampoo’s effect usually doesn’t last in the long term. Finally, dandruff shampoo also brings vitamin and nutrients to your scalp. Because dandruff shampoo washes away oil in your hair, it can lead to scalp’s dryness (or dry scalp, in another word) – a condition that is similar to dandruff and makes flakes seem even worse. Because of dandruff shampoo’s convenience and effectiveness, dandruff shampoo is a first choice for many people to get rid of dandruff, especially in case of emergency when they have to go an event or a party for example. However, many factors can affect how long does it take for dandruff shampoo to work. Sometimes, you won’t see any differences because of these factors. So what are they? Zinc pyrithione: It works as an antibacterial and antifungal compound which will kill off Malassezia fungi on your scalp- the main reason of dandruff. How long does it take for zinc-based dandruff shampoo to work? It usually takes only a few times. Besides, zinc pyrithione also has fewer side effects and has been proved to have a longer impact on dandruff condition, so this is the most common choice when it comes to picking dandruff shampoo . Coal tar: A tar-based shampoos can slow down the growth of skin cells to decrease flaking, itchiness, and dryness. However, coal tar can stain the color of your hair, especially when you have light-colored hair like blonde, white, gray or bleached hair, so it is a better choice for those with dark hair color. Coal tar can also make your scalp become sensitive to sunlight so you should remember to put on a hat before going outside if you are under coal tar treatment. Another side effect of coal tar is irritation, which in case it occurs or worsens, you should stop using tar-based products immediately . Selenium sulfide: Its effect is the combination of zinc pyrithione and coal tar. Selenium sulfide can slow down the rate that the skin cells shed and prevent the growth of fungi on your scalp. Some unwanted effects of it are similar to coal tar which are irritation and discoloration of hair color . Salicylic acid: A mild acid can also be a good choice for you. It softens and loosens the skin to help you wash it away easier. How long does it take for dandruff shampoo to work by using salicylic acid? The needed time is pretty variable, for some it can worsen the symptoms due to dryness of the scalp caused by salicylic acid. Even though this is a less popular option, it is still a safe ingredient that you should consider using . Ketoconazole: This an antifungal that works on a broad spectrum of fungi . Ketoconazole is the last call if any of those above doesn’t work. Most of them can only be bought from the prescription of a dermatologist, but there are still a few that you can buy over-the-counter. Other harsh compounds: Sulfate-based compounds like ammonium lauryl sulfate can be not so friendly to some people’s scalp since it can lead to dryness of your scalp and worsen dandruff symptom. Try to stay away from those ingredients if you want to dispose of dandruff quickly by using dandruff shampoo. As you can see, the answer to how long does it take for dandruff shampoo to work depends significantly on the ingredients of the product. We know it will not be easy for you to choose the right shampoo even after our little help above. So to save you some time, click here to see BEST DANDRUFF SHAMPOO FOR MEN– the list of top 5 anti-dandruff product in the market that we have already selected for you! Another condition that can be very similar to dandruff is dry scalp. With untrained eyes, those two are indistinguishable. So WHAT’S THE DIFFERENCES BETWEEN DANDRUFF AND DRY SCALP? Firstly, they are caused by different reasons. While dandruff is the result of the overgrowth of fungi, dry scalp (well, obviously) is the symptom of your scalp’s dryness. On the other hand, if you look carefully, dandruff and dry scalp look different as well. Dandruff is usually larger than dry scalp and often comes with a yellowish color in comparison to dry scalp’s white color. Moreover, when you scratch your head, if it feels a bit oily, you probably have dandruff. But if you don’t feel that way, dry scalp could become the real enemy here. Because the causes of dandruff and dry scalp are different, the treatment for them is far from similar. How long does it take for dandruff shampoo to work if you have dry scalp? 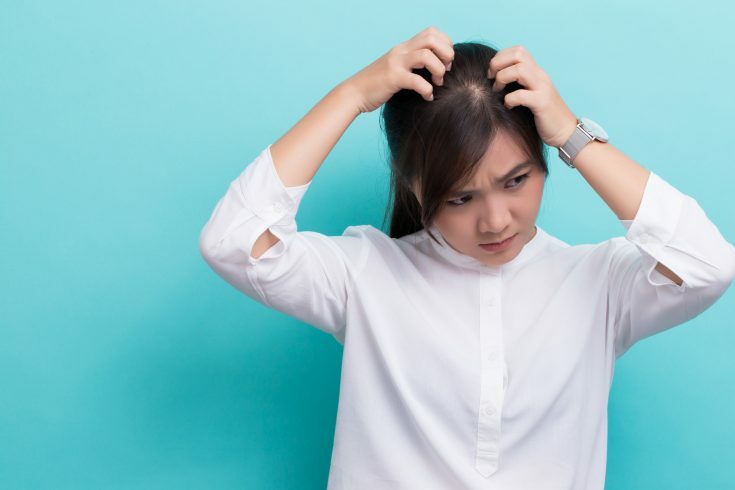 In fact, because dandruff shampoo works by washing the oil in your scalp away- the environment for fungi to thrive, it dries off your scalp and only worsens dry scalp if that is your real problem. For the record, it’s important to understand what is the culprit of the flakes falling off from your head to find the appropriate solution. How should you wash hair with dandruff shampoo: Applying shampoo to wet hair and vigorously rub or massage your scalp and hair. How long does it take for you to do that? Usually, you should wait for about five minutes before rinsing it off but with some case, selenium-based dandruff shampoo, for example, the shampoo should be rinsed off immediately. 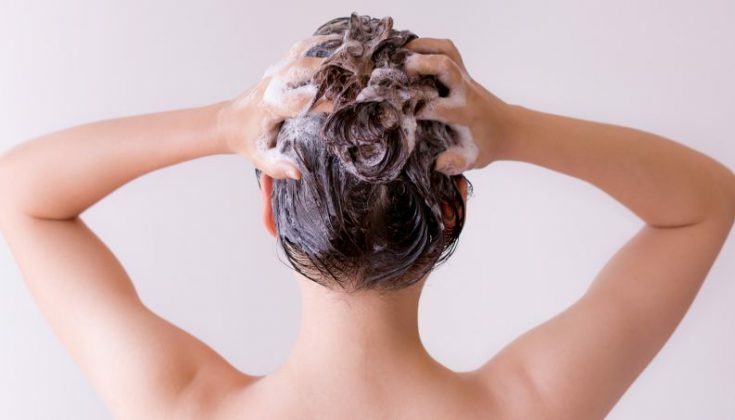 IS IT GOOD TO WASH YOUR HAIR EVERY DAY: if you have decided to work with dandruff shampoo to combat against dandruff, it is important to use it every other day or daily until there are no more flakes and itchiness (except ketoconazole shampoo which should only be used twice a week ). However, after the condition is under control, washing your hair daily is not advisable. Because dandruff shampoo aims to clean off dandruff and oil on your scalp to create a hostile environment for fungi, it can be backfired and lead to the dry scalp – a condition that is very similar to dandruff. The solution here is alternating dandruff shampoo and regular shampoo or using conditioner after washing your hair with shampoo. In addition to that, you should change your dandruff shampoo with different formula after a few months to prevent your body’s tolerance to its active ingredient. Rotate between at least 3 product for the best result. Using conditioner: Although conditioner is a great method to ease the symptoms of dandruff and prevent dry scalp – the side effects of dandruff shampoo, misusing it can also be one of the reasons why dandruff shampoo doesn’t work or why dandruff keep reoccurring. 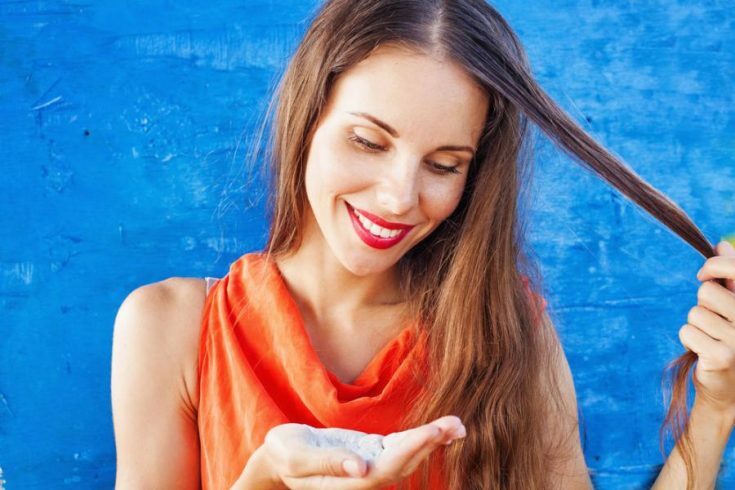 To choose a conditioner that can support your dandruff treatment, pick the one that doesn’t wash away the dandruff shampoo’s active ingredient. A compatible conditioner can even lock in the anti-dandruff compound to maintain the shampoo’s effect longer. On the other hand, select the right conditioner for your hair type and only applying it to your hair after using dandruff shampoo. Try to put conditioner at the end of your hair since it is the oldest and most damaged part. If you apply conditioner near your hairs’ roots or your scalp, it can be counterproductive as conditioner can block your follicles and make oil accumulate even more in your scalp. Foods to eat: Food that riches in vitamin B6 can lessen dandruff symptoms since B6 deficiency can cause scalp’s dryness. Some foods that are high in vitamin B6 are salmon, turkey, banana, and spinach. Omega – 3 is also a good substance to keep the skin fully hydrated and prevent dry scalp- a condition that accompanies with dandruff at times and sometimes is easily confused with dandruff. Walnuts, tuna, salmon, navy beans, and soybeans are some example of foods that contain a lot of omega-3. 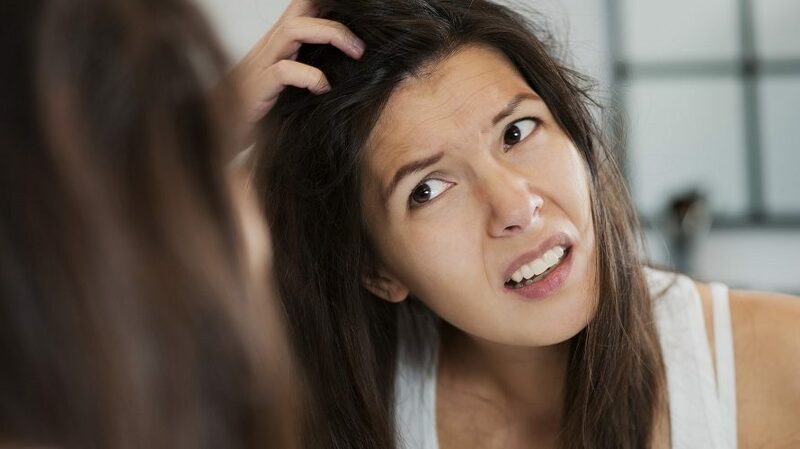 Foods to avoid: HOW TO PREVENT DANDRUFF? Regarding food, the first kind of nutrient that you should eat at least as possible is saturated fat. The reason is that a diet that is high in saturated fat can initiate excessive production of skin oil-an environment for fungi to thrive on your scalp and cause dandruff. And secondly, tea or coffee should also be avoided. Because caffeine in those two can cause sweating and increase urine production, it can lead to dry scalp. Manage your stress: During dandruff treatment, staying away from stress can boost immune system’s effectiveness to kill of bacterias and fungi that cause dandruff. Moreover, as we discussed above, this is also crucial to prevent dandruff’s reoccurrence. Some good methods to reduce stress are taking exercise, mediation or using essential oils. Warning: There are many factors that can cause dandruff, and your diet is just one of them. To treat dandruff properly, please don’t entirely abstain from saturated fat or try to eat vitamin B6 and omega-3 as much as possible as it can cause some unnecessary side effects. For example, an excessive amount of omega-3 can cause bleeding; or having too much vitamin B6 can result in nerve damage . Because of that, please consult your dermatologist to deeply understand your current condition and consult your physician for a balanced diet if necessary. Main points of how long does it take for dandruff shampoo to work? Dandruff is the condition where your scalp’s cells are shed quicker than normal and clamp with oil in your head to appear as flakes. The causes of dandruff are still unknown, but there are some possible factors such as Malassezia, poor hygiene, seborrheic dermatitis or diet. There are plenty of ways to treat dandruff but using dandruff shampoo has always been the most favorable. It shouldn’t take long for dandruff shampoo to show its effect. Usually, it only takes a couple of times (or just one time in some cases) for dandruff to dissipate. Dandruff shampoo works by washing off existing dandruff shampoo, toxins and oil to create a hostile environment for bacteria and fungi. This is the end of the article about “How long does it take for dandruff shampoo to work” from Carekees. If you enjoy and satisfy with our answer, please share it on your social network and hit like buttons on our facebook page. Moreover, we write new contents every day about health and beauty tips. If you want to be updated with the latest information about health and beauty, please sign up for our newsletter at the end of this site. Thank you very much!